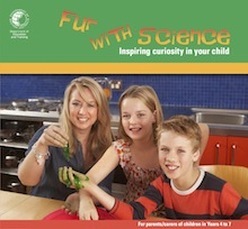 This booklet has ideas about how to help your child become interested in science and how things happen in the world around them. It also has some easy and fun experiments to spark the whole family’s interest in science. This resource has been produced by the Department of Education. Additional resources can be found on the Department of Education Schools and You website.